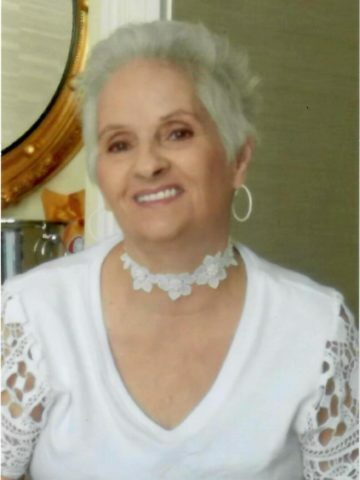 Viki Sloan Mitchell, age 59, passed away peacefully at her home in Fairview, surrounded by her family, on Saturday, June 16th, 2018. She was born on July 15th, 1958 in Nashville, Tennessee to Von Stanford Sloan and Mary Elizabeth Sloan. After two decades of serving as a U.S. Postal Carrier, Viki was able to open her own fabulous vintage shop, High Cotton, where her personality as a creative, sassy, eclectic firecracker of a woman was on full display. A lover of the brightest color palettes, the deepest fried chicken, and the funkiest of music, she was a joy to be around and lived each of her days to the fullest. She is preceded in death by her mother, Liz Sloan and her father, Stan Sloan. Left to honor and remember Viki are her husband Lenard, her son Sloan, her sister Bambi Haselton (Hall), her son-from-another-mother Adam Hardebeck, her grandchildren Brennan Runk, Kenzi Morgan, and her grand-dogs Parker, Haywood, and Spencer. Visitation will be 3-8 p.m. on Tuesday, June 19, 2018 and 11 a.m. – 1 p.m. on Wednesday at Harpeth Hills Funeral Home. A Celebration of Life Service will be at 1 p.m. on Wednesday at Harpeth Hills Funeral Home. Interment will follow at Harpeth Hills Memory Gardens. I think you accidentally excluded Viki’s daughter. Chelsi Morgan. The mother of Brennon and Kenzi, Viki’s 2 grand children. Sending my condolences from Inverness Nova Scotia. May she Rest In Peace. I am so sorry to hear the news of Viki passing. I am praying for Lenard and the whole family. May God will give you a peace that passes understanding during this difficult time. Love yall! I am so sorry Mitch and family. Viki was a fun and outgoing woman that I had the pleasure to get to know and she will be missed. Prayers sent for all of you. She was a beautiful friend . Prayers for her family . May you rest in peace.